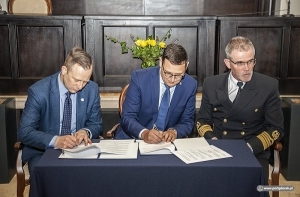 The Maritime University of Gdynia in cooperation with the Port of Gdansk Maritime Administration organizes a grant competition for students. The best projects will receive financial support for implementation, and the winning student team will receive PLN 10,000 (Euro 2,500 ) for holidays. The competition commissions will select the most interesting ideas that will be the answers to the challenges set out by the Port of Gdansk. Students can apply as a team. The best projects will receive financial support for implementation, and the winning team will receive a voucher for a holiday trip. Innovative projects that enable the development of the Port play an important role in our development strategy. We strive to get the most from the creativity of young people to climb higher and lower levels of operational capabilities. We want to improve work in the port of Gdansk, while giving students a chance to test and improve – says Łukasz Greinke, President of the PGA. Our mission is to educate students for the needs of working in specialized and sometimes narrow areas related to the sea. I am glad that the Port of Gdansk wants to use our knowledge and experience, and our students got a chance to test themselves in real conditions – says prof. Janusz Zarębski, Rector of the Maritime University in Gdynia. The experience gathered during the implementation of projects will be a great opportunity for students to develop. 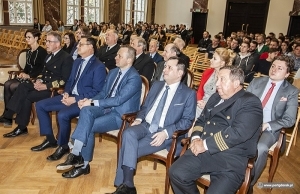 This can result in both professional and scientific life – explains Janusz Karp, Director of the Department of Education at the Ministry of Maritime Economy and Inland Navigation.